Approximately 6-month Program: 135 hours. This particular program is limited to 6 students making it a semi-private experience and the seminars being run this year will be condensed and intensive due to our small enrollment. ABS Schedule: 10am-5pm 1 or 2 weekends per month. See schedule below for exact dates. ABS programs begins once every year in Newport, RI. An individual, stipulated amount of attendance is required to become a ABS SAMA Registered Graduate and receive a certificate of completion. Earn 19 CEs from the NCBTMB & PACE. ABS Program Master Instructors: Karyn Chabot, M.Ay, LMT, RYT, Chelynn Treteault, LMT, AHP, Joa Agnello, LMT, AHP, Gauri Trainor, LMT, RYT & and many more! SAMA can accommodate 3 students overnight per individual seminar in Newport, RI. Meals and transportation not included. $108 per night. 1 private and 1 shared room available. Contact us for more detail. Travel costs are not included in tuition. SAMA is not responsible for refunding travel costs for long-distance students should a seminar need to be canceled due to inclement weather or illness with an instructor. Consult with someone at SAMA before purchasing airfare or making hotel reservations. Become a Registered Ayurvedic Bodywork Specialist (ABS) Teacher! Prerequisites for becoming an ABS Certified Teacher: Candidates must speak to Karyn about this for approval, as well as take the program twice. The 2nd time, candidates will be groomed and trained by one of SAMA’s Master Instructors, as well as expected to lead some portions of the program during their 2nd round. Graduates of 2 full ABS programs will be awarded a Masters certification for teaching and eligible to distribute NCBTMB continuing education credits to their students under SAMA. The requirements for ABS Teacher Training are still under development and are subject to change. Assisted in at least one ABS written and practical examination. Provide documents showing 15 hours of approved continuing education in Ayurveda and Bodywork every 2 years in order to maintain your ABS status. Our ABS Manual © (280 pages – 8 X 11), curriculum and e-dvds were designed to instruct students how to become proficient as a “hands-on healer” using the ancient wisdom of Ayurvedic healing principles and touch therapy systems to help remedy the stress of today’s world. Students will learn the foundations of medical Ayurveda, how to access and classify pain, find specific pain remedies, specific applications of oils, poultices, thermo and hydrotherapy, healing muds/pastes, marma pressure points, herbal potions and the anointing of other therapeutic substances on the body. Students will learn how to harmonize bodywork modalities with the seasons, doshic diet and routine protocols, using neutral, safe and innocuous oils, energy medicine, intuitive awakening of the soul’s innate healing gifts, therapeutic applications and pastes as well as be able to demonstrate proficiency using hands-on techniques. The material in this manual is rooted in the ancient healing modalities of ‘pancha karma’, a Sanskrit word referring to India’s ancient purification and rejuvenation system. Students will uncover modified, yet sacred and powerful versions of this ancient system. The scope of practice that this impressed upon the reader is geared for the “general” population, where the disease process has not advanced past the 4th stage. Clinical pancha karma should be performed with or by a doctor and is a very medically effective, time-proven approach that transforms the human physiology. This course was not designed for diagnostics, pulse analysis, or the replacement of a licensed massage therapy program or the allopathic medical profession, but instead, designed for harmonious integration into all indigenous and traditional medical systems. It helps if students have a massage license prior to enrolling in this course, but is not a prerequisite for this course. Though it may be a prerequisite at the “state level”, for legal reasons, if graduates intend to charge for the services outlined in this book. We recommend learning rules in the particular state in which you reside or wish to practice regarding the legality of professional massage therapy, as each state is different. Some states allow for spiritual touch healing with an online minister’s license. Shirodhara Therapy can be done, with some exceptions, without massaging the body. Therefore it may one of the therapies that would fall under the category of spiritual touch healing, not requiring a license. Each state will have a different name and description for such categories as well. Our ABS course manual was designed for two types of students: online and on-campus (Live) students. It is a compilation of many classroom handouts, slides, articles and classroom unpublished books with material that may not be found anywhere else. We seamlessly and coherently merged all this data to create this very comprehensive, unique text based on true Ayurvedic theories and experience from many licensed massage therapy instructors with extensive training and history, many of whom trained with some of the worlds Ayurveda’s leading experts and doctors. In our “live” Newport ABS seminars, massage tables, stone heaters, stones, and most other “equipment” will be provided by Karyn in Newport, RI for practice and learning. Students will be generally responsible to bring their own oils, linens and other topical substances at outline in the link. This link above will provide exact details for each seminar within our ABS program. “When Sattva predominates, the light of wisdom shines through every gate of the body”. A passion for the healing arts and a desire to serve others with pure intentions. Most anyone can enroll. We will match experienced therapists with other experienced therapists and beginners with other beginners during practicum. Perks: All “live” ABS students will have access to our Online Ayurvedic Bodywork Specialist Course! Late fee of $35. Five day grace period. $800 deposit is due immediately upon acceptance into the program to save your place. It will be deducted from your tuition. This program is limited to 6 select students only. Extra Fees: $5-20 per Seminar for Supplies. Students bring their own supplies. SAMA will supply the large equipment such as massage tables and more. 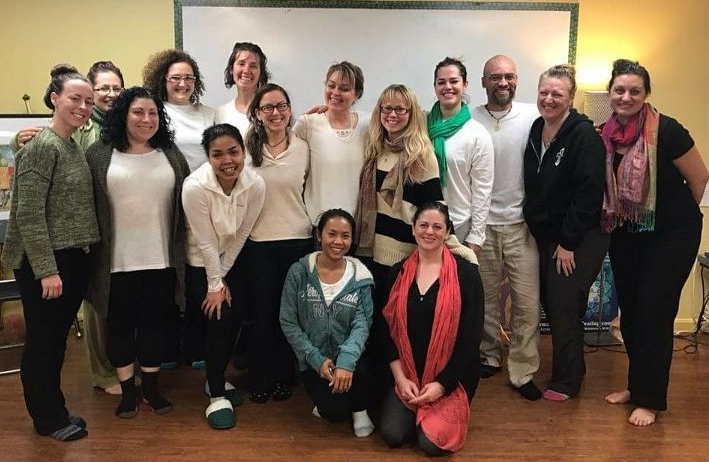 SAMA is approved to operate as a school in the state of Rhode Island and is a continuing education provider for the National Certification Board of Therapeutic Massage & Bodywork (NCBTMB). Our Ayurvedic Bodywork Specialist Course provides unlicensed and licensed health and beauty professionals to become trained in Ayurvedic Bodywork Specialist Modalities. In the state of RI, unlicensed health and beauty professionals can legally operate under the title of Ayurveda. Please click on this link for more information regarding the legality. This course will not prepare the student to become a licensed massage therapist and is not designed for the student to learn how to manipulate the musculature, fascia or the bone structure of the client. Click here for more info about legally “touching” the body without a massage license. . If a student decides not to participate in our program and informs SAMA in writing 15 days prior to the agreed upon orientation (first day), a full refund will be provided minus a $108 processing fee. The $50 application is not refundable. If a student decides to withdraw from our program within 2 weeks of the first day of the program, $500 of the tuition is non-refundable. If a student decides to withdraw from our program within 24-hours of, on, or after the start date, a minimum of $800 of the tuition is nonrefundable. Any additional amount due/refundable will be calculated and prorated based on the date the letter of withdrawal was received by SAMA. No refunds or credit will be issued for canceled/postponed seminars for inclement weather. Every effort will be made to reschedule such training sessions. Online Ayurvedic Training Program Course is a State Credentialed Ayurveda School approved by the CBTMB. 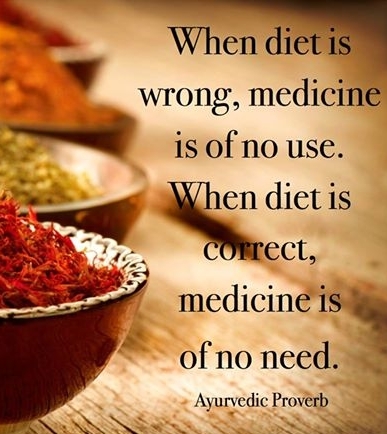 Become a Registered Ayurvedic Health Counselor! Click here to enroll in our online class now! One missed seminar is permitted. Students may make up for one missed seminar in the next program without an administrative fee. After that, any missed seminars can be made up in the next program for half the individual tuition of that particular seminar. A student missing hours may only transfer into the next consecutive program and not into future programs without paying the re-enrollment tuition.